The first step was to purchase a small amount of equipment and test. We thought long and hard on the type of system we proposed, what it would take to maintain, the reliability, and of course the cost (ok this last part may have gotten away a bit). 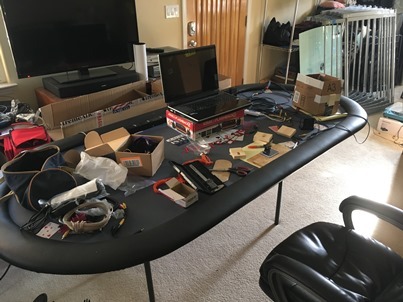 This image also shows the table with its padded rail. 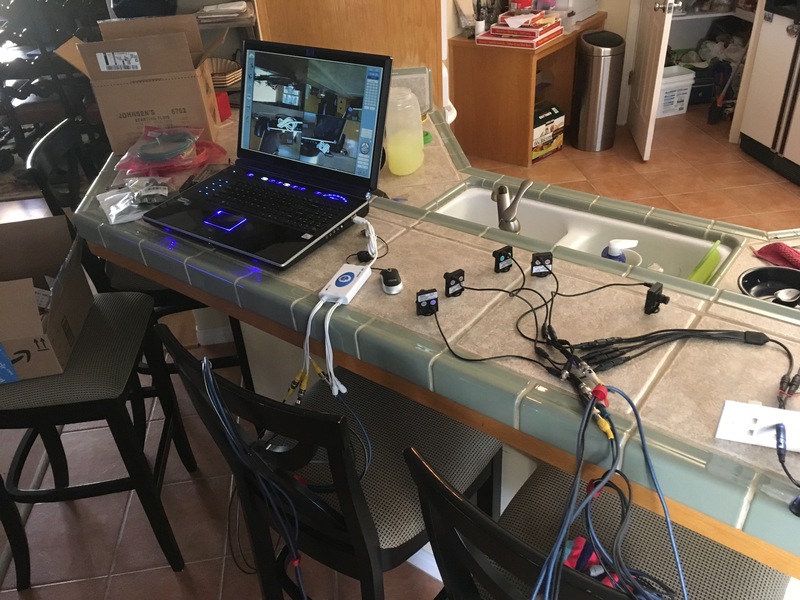 One camera was purchased and tested with the existing USB system. 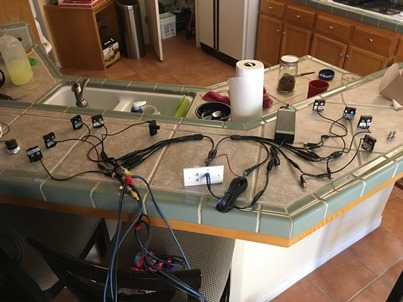 Once this passed our quick test we purchased 9 cameras and tested them on our make shift "test bench" As each camera will get 1amp we tested with a 5 way splitter and a 5amp power supply. This then progressed to a 9 camera test using a 10amp power supply. In order to not over power the cameras a 1amp light was added to the mix. This light not only uses the additional amp but will provide an indicator light on the connector panel. 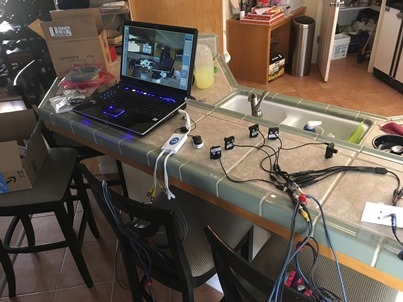 Our camera documenation only listed the camera power requirements as 0.5 amp OR HIGHER. We decided not to push this. A list of all gear (equipment) used is found at the end of this article.